American Airlines has decided to make Gogo in-flight wireless services available in all its two-class regional jets. 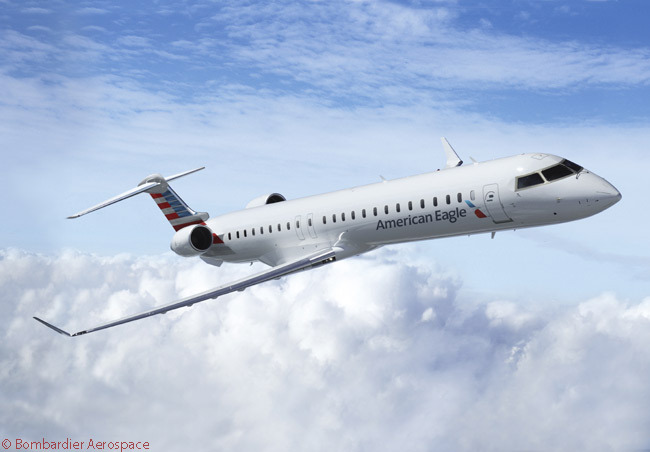 Nearly 250 of the regional jets operated on the American Eagle network ‒ into which the US Airways Express regional network will be absorbed as the US Airways name gradually disappears ‒ will have in-flight wireless Internet service installed by 2016. Bombardier Aerospace delivered the first of 30 enhanced CRJ900 NextGen regional jets to American Airlines Group Inc. on June 5, 2014. The aircraft are for operation by group subsidiary PSA Airlines, Inc.
Types to be outfitted include models within the Embraer E-Jets and Bombardier CRJ Series families of regional jets. American claims that, when the installations are completed, it will have the world’s largest fleet of regional jets which offer in-flight Wi-Fi. 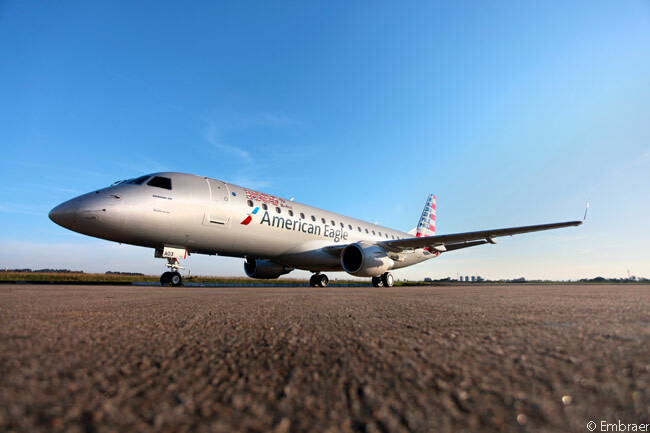 Dallas/Fort Worth-based American Airlines already has outfitted nearly 850 of its aircraft with Gogo’s air-to-ground (ATG) service and the in-flight communications company’s next generation ATG-4 technology. Approximately 70 of these 850 aircraft are two-class regional jets. Having ordered more than 500 new aircraft – it is taking delivery of nearly two new jets each week through 2016, on average – American Airlines says it will offer customers the youngest fleet of any U.S.-based network carrier. Its new aircraft deliveries include 90 large regional jets: the models being added are the Embraer 175 and Bombardier CRJ900 NextGen. These 76-seat jets will have First Class, Main Cabin Extra and Main Cabin seating installed, larger overhead bins, more spacious lavatories and leather seats with adjustable headrests. The American Eagle and US Airways Express regional networks operate about 2,600 daily flights for American Airlines and US Airways, respectively. These flights serve 240 destinations throughout the United States, Canada, the Bahamas, the Caribbean and Mexico.